You Are Here: YULONG SAFETY > Question & Answer > FLAME-RESISTANT? FIRE-RESISTANT? FIRE-RETARDANT? WHAT’S THE DIFFERENCE? If you aren’t extremely familiar with this information and these terms, you might assume these three terms are synonyms. The confusion is understandable, given the similarities of the terms. Two of the terms are, in fact interchangeable, but another one of them is quite a bit different. Here are the major differences between them. 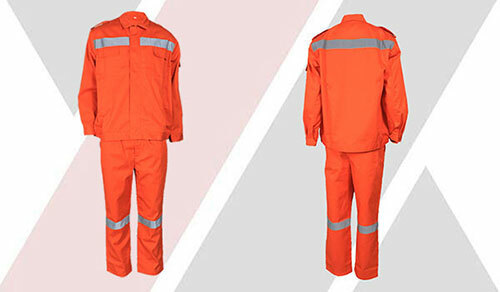 Flame-resistant: Flame-resistant clothing is made from inherently nonflammable fabrics and materials. The materials have a chemical structure that is naturally resistant to flames. These types of fabrics may catch fire, but they will either self-extinguish or burn extremely slowly. The most important function of these materials and fabrics is to prevent the further spread of fire. Fire-resistant: This term is a synonym for flame-resistant. If you hear this term used in place of flame-resistant, don’t be confused. They mean exactly the same thing, and it is correct to use them interchangeably. Fire-retardant: Fire-retardant fabrics are those that have undergone chemical treatment to acquire some of the same properties flame-resistant fabrics inherently have. As a result of these chemical procedures, flame-retardant fabrics become self-extinguishing and slow-burning. Any type of fabric may be used, but it must undergo this treatment before it can be considered flame retardant. PREVIOUS POSTHOW TO SHOP FOR FLAME-RESISTANT CLOTHING?